Dorian Lake spent years cornering the Baltimore hex-crafting market, using his skills at the hermetic arts to exact karmic justice for those whom the system has failed. He keeps his magic clean and free of soul-corrupting Netherwork, thus avoiding both the karmic blow-back of his practice and the notice of the Presidium, a powerful cabal of practitioners that polices the esoteric arts in America. 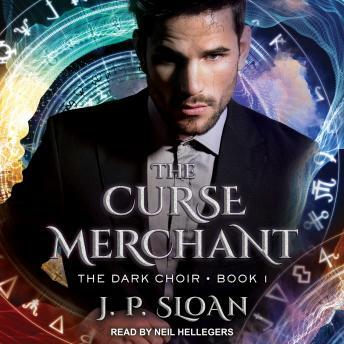 However, when an unscrupulous Netherworker interferes with both his business and his personal life, Dorian's disarming charisma and hermetic savvy may not be enough to keep his soul out of jeopardy. His rival, a soul monger named Neil Osterhaus, wouldn't be such a problem were it not for Carmen, Dorian's captivating ex-lover. After two years' absence Carmen arrives at Dorian's doorstep with a problem: she sold her soul to Osterhaus, and has only two weeks to buy it back. Hoping to win back Carmen's affections, Dorian must find a replacement soul without tainting his own. As Dorian descends into the shadows of Baltimore's underworld, he must decide how low he is willing to stoop in order to save Carmen from eternal damnation . . . with the Presidium watching, waiting for him to cross the line.